Malik and Ethan are 9th graders at Byers HS. They came to Byers in middle school for the academics, but when they learned that they could also play football competitively in high school, they jumped on the opportunity. However, they don’t represent the Falcons on the field. Instead, they wear South High School Rebels jerseys. Byers, like all DSST high schools, is a small school with just around 150 students per grade. Byers partners with fellow DPS high schools, like South, to give students access to a larger array of athletic options. 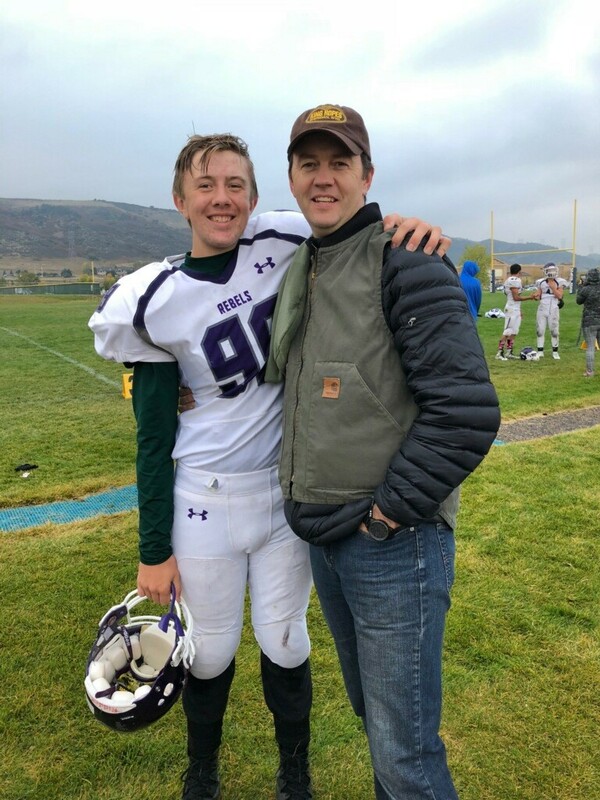 Although he’s played flag football for a while, Ethan wasn’t originally planning on playing football in high school, but he says that changed when he learned about this opportunity. “When I came to Byers and they told me I could go to any other [DPS] school I want and try out, I thought, ‘why not?’”. Malik, on the other hand, has been playing tackle football since elementary school, and says he’s always known he would play in high school. Malik’s cousin is a 10th grader at Byers and also plays football for South. He said that seeing his cousin play made him really excited that he would also have that opportunity, even at a small school like Byers. Byers Falcons aren’t the only students able to play competitive sports at other DPS schools - you can often find Stapleton Knights over at nearby East High School, Conservatory Green Hornets at Northfield High School, and Cole Dragons at Manual. See our schools in action and learn more about sports and extracurriculars at DSST schools by registering for a school visit this fall!